Few things are in shorter supply in a post-zombie world than trust. Giving it to the wrong person could have dire repercussions, after all, and few people are in a position to take that chance. Unfortunately Emily doesn’t have many options left. Post-apocalyptic fiction works best when the reader is occasionally thrown a curve ball, and this story is no exception to that rule. The even pacing and the inclusion of a few surprising twists to some tropes that are common in this genre made me wish I could read the sequel immediately. I was especially mesmerized by how quickly Emily switches between protecting her son from the horrors of their predicament and scolding him for the types of shenanigans that all children get up to when left to their own devices. Including these experiences in the same scenes helped me get to know these characters very quickly and made the climax even more compelling. Trying to survive in a world full of zombies is difficult enough for adults, but it becomes even more challenging when there’s a small child to protect. These factors on their own provide more than enough fodder for advancing the plot, so I was a little thrown off by why the possibility of a romantic relationship between Emily and Aaron is brought up so often. Given that this book is the first in a series and that both characters are teetering on the edge of survival when they first meet, I think it would have made more sense for this particular subplot to be introduced in a sequel instead. This novel is full of heart-stopping moments as is. It would have easily earned a much higher rating had more time been spent on the main plot. With that being said, both Emily and Aaron have extremely well fleshed out personalities and backstories that make me wish for a prequel. Wondering what would happen to them next lead me to reading it from cover to cover over the course of a few days, and my curiosity only grew more insatiable as I realized how effortlessly they work as a team. Their strengths and weaknesses are well matched. They genuinely seem to enjoy one another’s company as soon as their friendship begins. 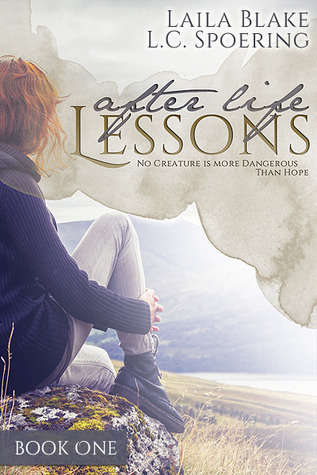 After Life Lessons is a promising beginning to an exciting new series. This is a great choice for anyone who loves zombie or post-apocalyptic fiction.